Not even two hours away from Chicago, you’ll find an escape at the resort town of Lake Geneva, Wisconsin. A true getaway from the city and a major break from the daily routine—a family adventure is yours for the taking. 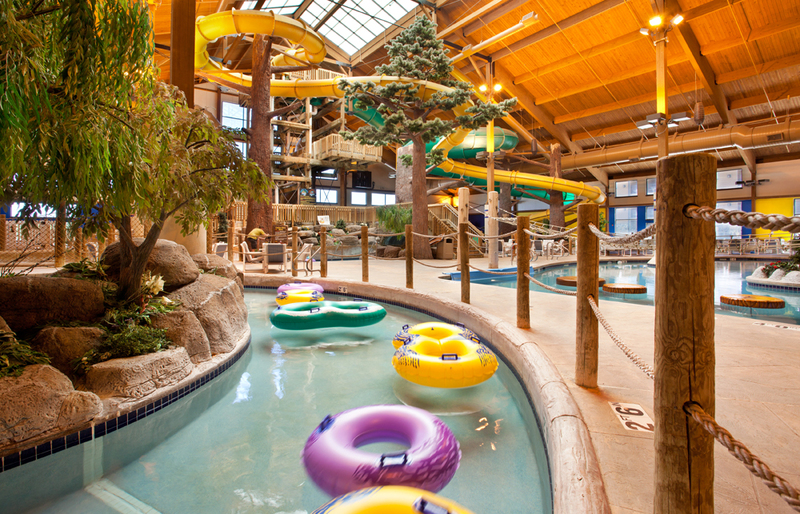 Take a trip to Timber Ridge Lodge & Waterpark at Grand Geneva, where the kids will indulge in the 50,000 sq. ft. of indoor/outdoor waterpark fun. 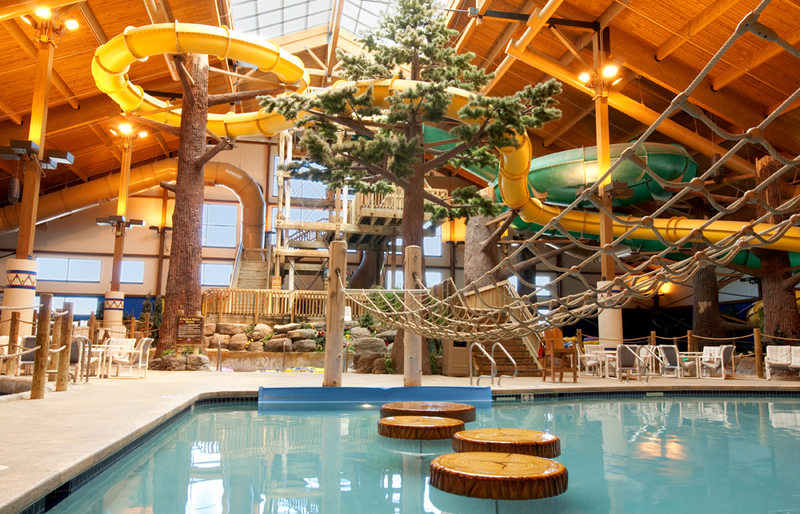 There’s everything in Moose Mountain Falls—massive water slides, pools, lazy rivers (for tired parents and children), not to mention something for all age ranges of kids. 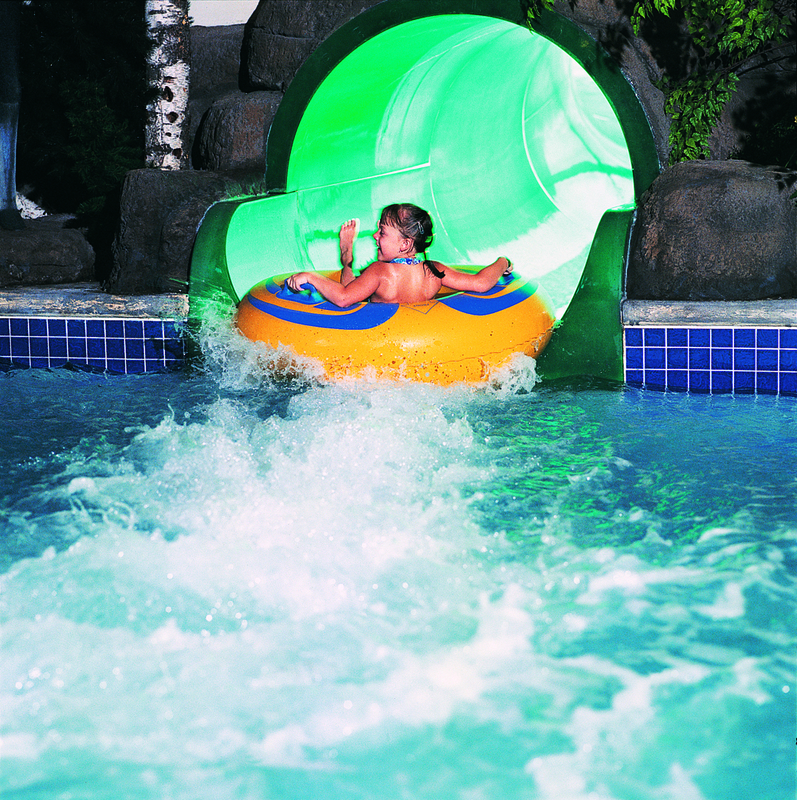 For your older kids with no fear, they will love the 35-foot-high water slides that features two unique experiences. Timber Rapids (green slide) will send you on an adventure with a single or double tube, and Avalanche Falls (yellow slide) sends you down dark tubes at lightening fast speeds. The activity pool is also great for older children as they can climb a rope across the pool or play pool basketball. For toddlers, check out Tiny Timbers that features slides and swings and a mushroom waterfall that will keep them entertained for hours. The expansive guest suites feature all of the amenities to make a large family feel at home from kitchenettes to cook your own meals to a spacious living area for late night cartoon binges. When you book a suite, passes to the water park usually are included so be sure to check out the website before you book your stay. There are plenty of dining options whether you grab something quick at the Hungry Moose Food Court located within the waterpark or for a nice sit-down family style meal, venture to the neighboring Grand Geneva Resort & Spa for dinner at The Grand Café that features contemporary American cuisine with something for everyone, even the pickiest of eaters. 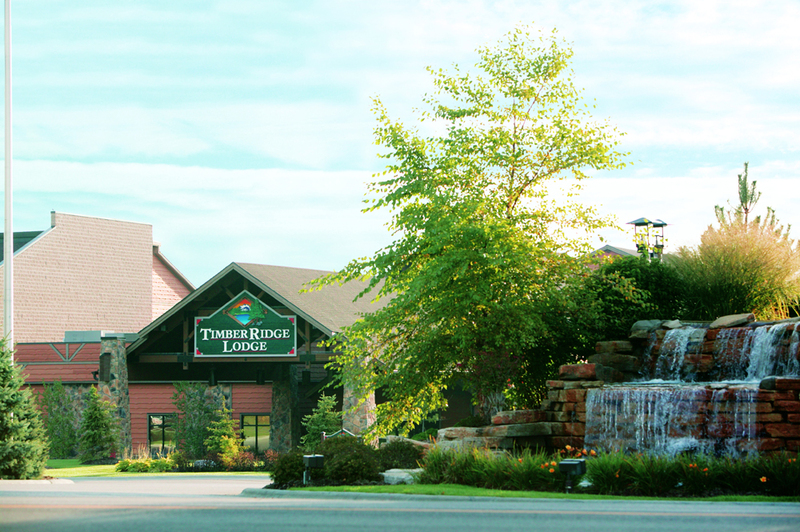 For more info, and to book your stay visit www.timberridgeresort.com.